This chunky gluten free tapenade of Kalamata Olives with Fig & Mint is a wonderful mixture of flavour and texture and is ideal served with pasta, vegetables, salad or cheese. 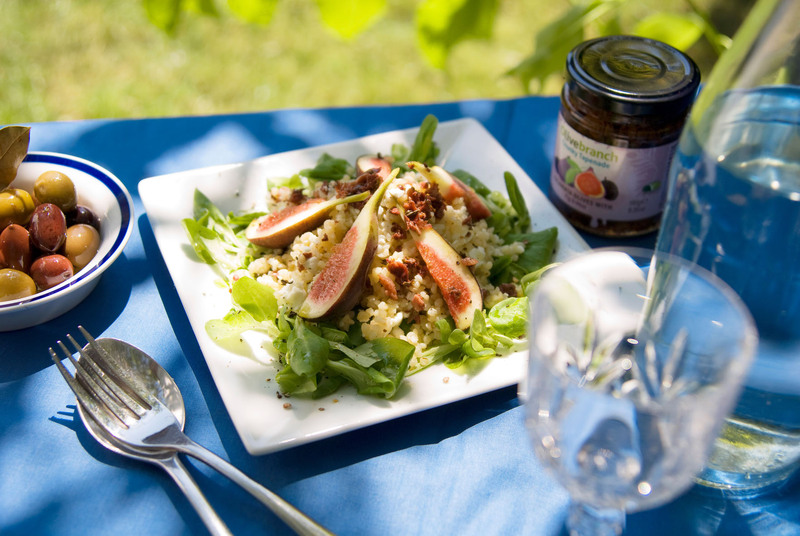 It also has no added sugar and is produced by small farmers from Greece using specially grown ingredients. 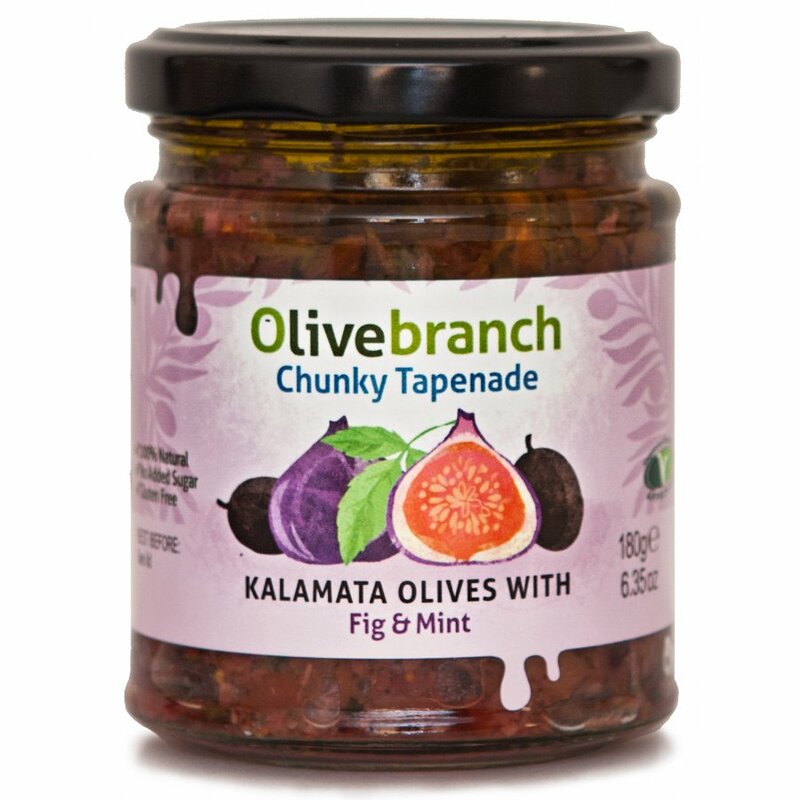 The Olive Branch Chunky Tapenade - Kalamata Olives With Fig & Mint - 180g product ethics are indicated below. To learn more about these product ethics and to see related products, follow the links below. 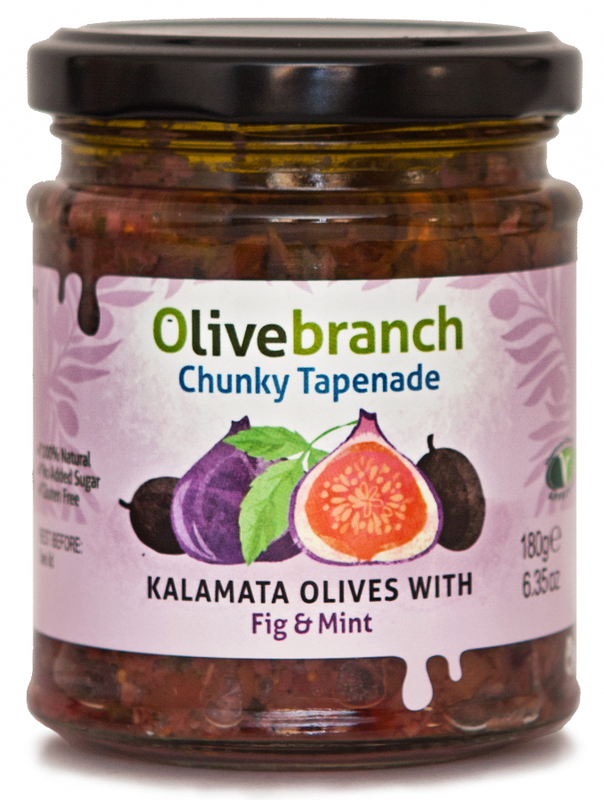 There are currently no questions to display about Olive Branch Chunky Tapenade - Kalamata Olives With Fig & Mint - 180g. 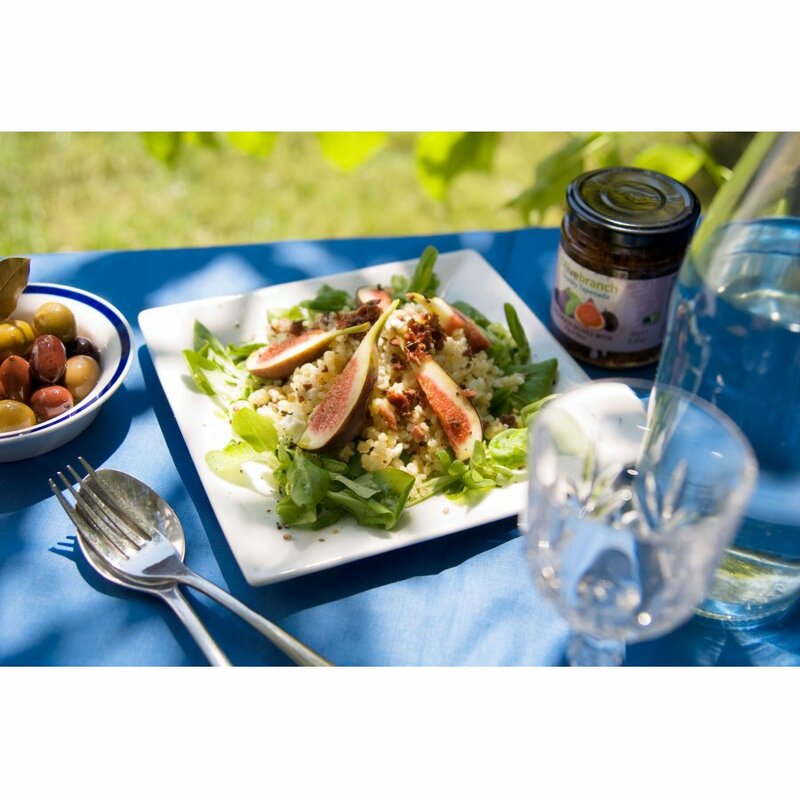 Olive Branch was set up in the summer of 2011 by Maria Koinaki who originates from Crete. She decided to turn her father’s Olive Oil into a brand and together with her partner Kamil to launch the business. Her father works closely with the local community co-operative where his olives are pressed. The aim of Olive Branch is to improve peoples’ knowledge of good quality Olive Oil and the benefits associated with its consumption. 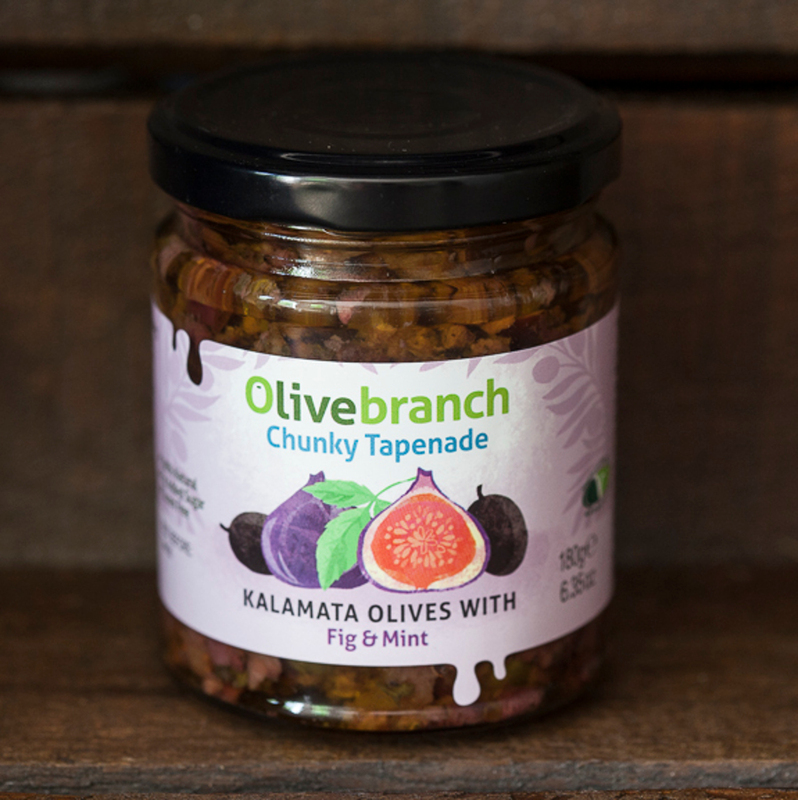 Since launching Olive Branch, Maria has developed many products, including the inventive Sweet Olive Relish and has gone on to win multiple awards including Great Taste Awards and Le Prix des Epicures.